Escape from the noise of urban crowds and spend a day with beautiful views of the Sahyadri hills. 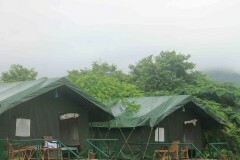 At a lush green campsite, surrounded by vast fields and tree plantations, you can spend a fun holiday with your group. 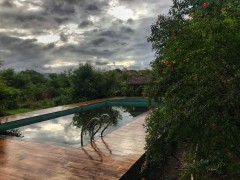 Apart from engaging outdoor games on the playground like badminton and volleyball, you can visit the nearby river to take a dip in the natural pool. In the evening, a movie screening on giant screens can also be arranged. 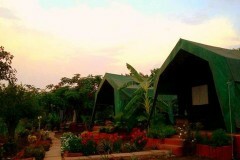 Located in the middle of rolling hills of the Sahyadri range, the campsite is easily accessible via road from Pune. 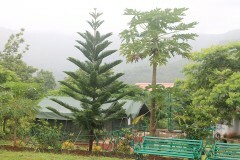 The campsite is also just a short drive away from the dam reservoirs of Temgahr and Panshet. 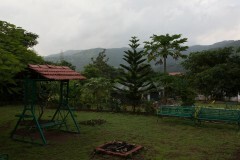 In the monsoons, the entire landscape is painted green with sprawling lawns and bushes growing in every corner of the campsite. In the winters, the chilly climate makes for a great bonfire experience at night. • Travel away from the city for a night spent in nature. • Stay in Swiss tents pitched with scenic views. 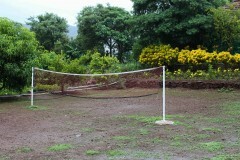 • Enjoy a game of volleyball or badminton with your group. 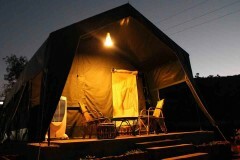 This Swiss tent camping in Mulshi is a non-strenuous activity. However, if you have heart conditions, blood pressure ailments, spine or knee problems, respiratory disorders like asthma please consult your personal physician before this trip. 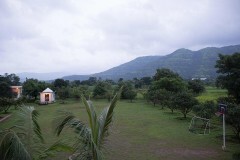 For cancellations made 15 days or more before check-in date of the Swiss tent camping trip in Mulshi: 90% refund. 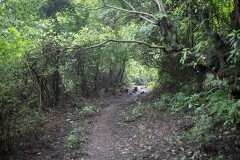 For cancellations made 8-14 days before check-in date of the Swiss tent camping trip in Mulshi: 50% refund. For cancellations made less than 8 days before check-in date of the Swiss tent camping trip in Mulshi: no refund. Check-in time at the campsite is 12:30 hrs, while check-out time at the campsite is 11:00 hrs. 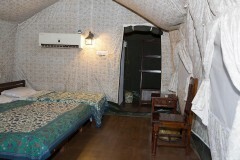 Stay and food for drivers, maids and other staff members can be arranged at an additional cost of INR 500 per person for stay in staff rooms and INR 700 per person for all meals. Evening bonfires can be arranged only during the winter season. The campsite does not offer a luxury resort experience. While all basic facilities are available to ensure comfort, please don't expect any room service, loud music, television, bar or WiFi. No pick-up for this Swiss tent camping trip in Mulshi. No drop-off for this Swiss tent camping trip in Mulshi. 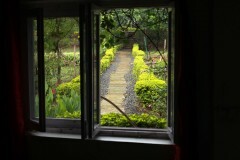 Day 1 of Swiss tent camping in Mulshi: Check-in and enjoy! Check-in to your Swiss tents at the campsite any time after 12:30 hrs. After a delicious lunch, you can spend the rest of the day at leisure. Take a stroll to explore the beautiful campsite, or rest in your Swiss tents. You can spend the afternoon enjoying outdoor games like badminton or volleyball. 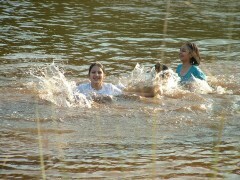 You can also take a dip in the nearby river. In the evening, a movie screening on a giant screen can also be arranged. Have dinner at the common dining area and head back to your Swiss tents. Overnight in Swiss tents at the campsite. Green hills of the Sahyadri rising behind the campsite. Wake up to a beautiful, morning views of the campsite. Post breakfast, you'll check-out of the campsite by 11:00 hrs. Your trip ends here. Overnight in Swiss tents at the campsite. Check-in time at the campsite is 12:30 hrs. You'll be accommodated in Swiss tents that come equipped with an air-conditioner, attached washroom, bed with pillows and blankets, small table and chair. Today's meal package includes lunch and dinner. BBQ snacks can be arranged at an additional cost. Today's meal package includes breakfast only. You'll check out by 11:00 hrs. 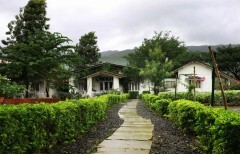 The campsite is accessible via road, 40-km/2-hr drive away from Mulshi and 170-km/4-hr drive away from Mumbai.